Mike Walls never envisioned his golden years as a fight with drug addiction when a friend gave him a plastic bag of crystal-like powder and a promise of youth nearly two decades ago. A cross-country truck driver, Walls was almost 40 and feeling fatigued when he sniffed methamphetamine from a dusted toothpick at a truck stop, hoping he could drive all night. "It seemed like I didn't want to face the fact that I was getting older," he said. At 55, with rotten teeth, frayed nerves and high blood pressure — all brought on by meth — Walls has become part of a growing number of baby boomers struggling with addiction to the stimulant and seeking help after living with it through middle age. The Substance Abuse and Mental Health Services Administration found the number of people older than 55 seeking treatment for meth addiction increased from 44 in 1992 to 693 in 2003, the most recent year for which statistics are available. Spokeswoman Leah Young said the number is only a fraction of the total seeking treatment for meth addiction — about 136,000 people in 2003, according to federal estimates. But the spike has left drug counselors already reeling from treating a rush of younger addicts grasping for guidance. Ronald Hunsicker, president of the National Association of Addiction Treatment Providers, said older meth addicts remain an uncharted group. "Because of the way that we tend to pigeonhole or stereotype older adults, we don't think that they will have access to methamphetamines," he said. "The contrary seems to be true." The drug can cause rotten teeth, rapid weight loss and hallucinations among users of any age. But the effects of addiction can be worse with age, causing high blood pressure, hypertension and a risk of heart attack. Prolonged use can lead to kidney disorders, liver or brain damage, depression and malnutrition, said Dr. Barbara Krantz of the Hanley Center, which offers drug treatment in West Palm Beach, Fla.
"Chemical dependency is a brain disease. It doesn't matter how old you are," Krantz said. 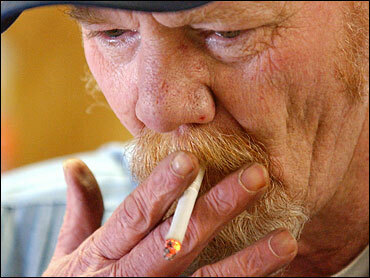 The cost of treating people for meth addiction also can increase with age. Because of years of addiction — and deep-seated habits — people older than 55 risk being in treatment longer. At the Greene County Rehabilitation Center in Bloomfield, Ind., the first stage of treatment costs $600 a month, which covers room and board. It does not include medical bills. The second phase runs $155 a week. Recovering addicts leave during the day to work but return each night for counseling. A final phase, designed to ensure recovered addicts remain clean, is free. Gus Mathias, who manages the Greene County center and another in Indiana, has seen meth ravage young addicts. What he has seen among older clients is worse. "Methamphetamine is hard on young people. You lose a lot of weight. Your teeth fall out. You hallucinate. But when you start to get older, it happens much faster," he said. "I've got any number of people that come in looking tragic." Walls is a perfect example, Mathias said. After being caught making meth in a field seven months ago, Walls arrived for court-ordered treatment 30 pounds underweight and jittery. He is now in the second phase of his treatment, working at his own auto shop before heading home to the rehabilitation center in Bloomfield. His blood pressure has fallen and his once-sunken cheeks have filled out. He attends regular counseling sessions to learn about the triggers of addiction. He waits, hoping the craving subsides a little more each day. Younger meth addicts turn to him for help when they arrive, asking how he finally got clean. Walls wishes he could give them answers, but he can't. Not yet. He has much more work to do. "It's kind of hard to answer them," he said, staring at his trembling hands. "But I do sit and talk."